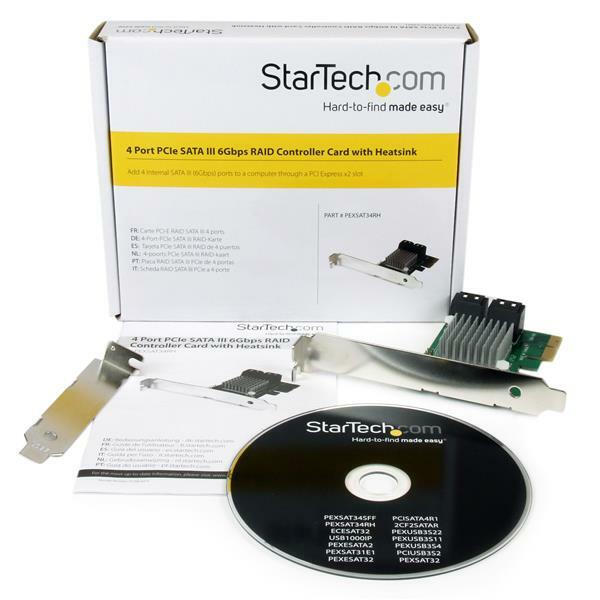 This PCIe SATA 6gbps card is backed by a 2-year StarTech.com warranty and free lifetime technical support. The maximum throughput of this card is limited by the bus interface. If used with PCI Express Gen 1.0 enabled computers, the max throughput is 2.5 Gbps per lane. If used with PCI Express Gen 2.0 enabled computers, the max throughput is 5 Gbps per lane. Only one port can use the Port Multiplier feature at a time. Supports up to 4 drives connected via Port Multiplier, 7 drives total. Port Multiplier not supported in Mac OS. Boot under 1809 possible, yet system significant slower than under 1803. Worst: my 4 RAID 10 HDD with the OS on it are shown as "removable drive". No proposals from MS & forums do the fix up-to-date. Hi! I like the product, but I have a question. How can I disable the hot swat function under windows 10 in single disc mode? I was able to disable it in windows 7 in Device Manager, but in win 10 I can't find this function. (5 stars) Effective! Fast as! wonderful. Amazing for Gamers. Hello, recently purchased. Spiceworks poster. Used this recently in a Gaming PC build, 2x 970 evo 512GB with 1x 6TB WD Blue = up to 800mbps throughput from or to NVME System drive. I had initial issues with conflicts but I eventually got the card and my system working. copied my existing HDD to it, launched some games. Games like total War: Warhammer have gone down as much as less then a minute from a fresh boot not to mention No man's Sky which will load in about a minute. HyperDuo is simply, incredible. 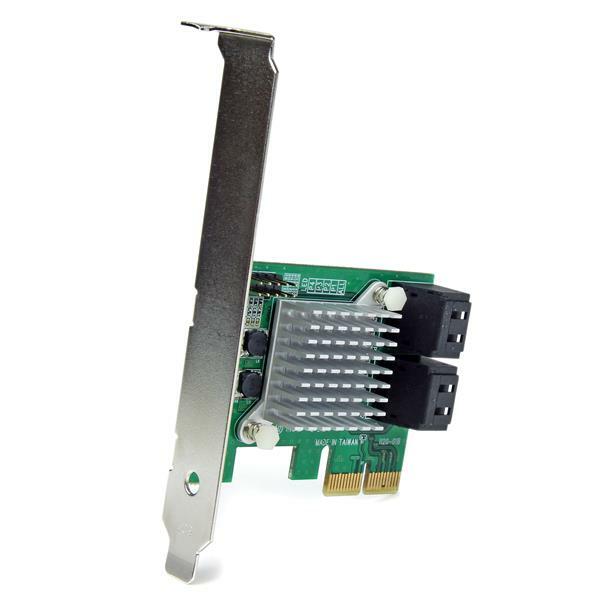 Needed this card as I had a small case and I really needed more space for games, two of my four sata MB headers were blocked by fans so I saw this card and was keen to try the HyperDuo feature. As with a keke27, I too am unable to find a JBOD option using the "card bios" method for installation in a linux rig. Two disks are plugged in, and the only options are Raid1 and Raid0. Thanks for sharing your feedback with us. There's actually no need to enter the card's BIOS to configure the drives for JBOD use. By default, they will function as independent drives. The BIOS only needs to be used if you wish to configure a HyperDuo or RAID. (5 stars) Simple, functional, and fast. I had to do very little to get this working. Installed in a Linux server, booted into the card BIOS, configured the RAID and done. It presented the drive to the OS as configured, and throughput was better than I expected (first time using a StarTech controller, so I WAS apprehensive) given the list price. The small size makes for it not getting in the way inside the case or obstructing airflow. I received this product in exchange for an unbiased review. Hi Andrey, Drive performance can really vary at times - especially if writing lots of small files to your drive. 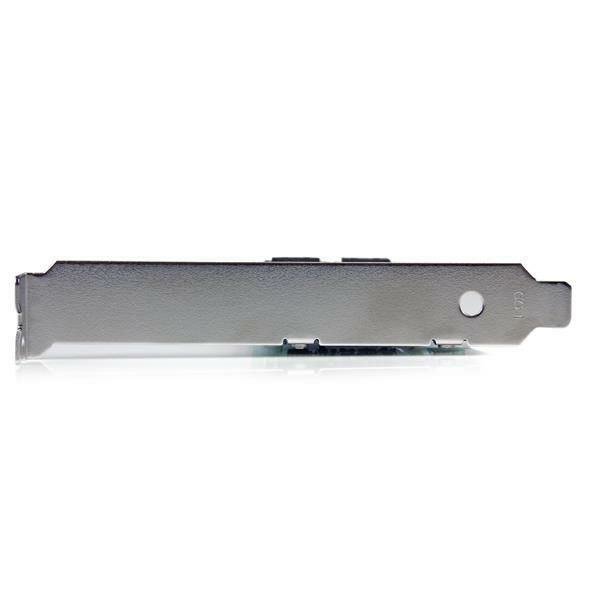 Please try copying a single large file (ex 10 GB), if you're using a solid state drive connected to our card, it should perform much closer to 450 MB/s. Please contact our Support team if you'd like to take a closer look at the situation with us. Been using it for almost two years now and it's worked consistently good. Used it to connect an internal 4TB drive and my comp case's top HDD docking station, and it does better than expected at both (allows drive hot swapping without issues). Data transfer speeds are just as expected. Totally recommended. On the Tech Specs tab it states that JBOD is supported. I bought this card solely for this purpose. It took me hours to figure out that JBOD is NOT supported. It seems to be an adequate card in general, but, for me, it was a waste of money and time. Hello, Thanks for sharing this feedback with us. We wanted to ensure you that JBOD is indeed supported with this card. However, we are aware that JBOD is defined differently depending on where you look. We define JBOB as a set of disks that operate individually from each other. Whereas other sources cite JBOD as a set of disks that are spanned or concatenated together to function as one disk. We refer to the second as BIG, something this card cannot do. We would suggest speaking with our technical advisors if you would to discuss this further. Thank you.